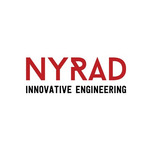 At NYRAD, we strive to increase the number of youth interested in STEAM & STEM. We are committed to providing experiences & opportunities' which will spark innovative and creative solutions to real world problems. In addition to engineering space & and other complex systems, we work with researchers, academia, and educators to develop payloads for: Orbital, Suborbital and International Space Station experiments. This includes developing systems for biological payloads. We can help you send your research into orbit! Do cosmic rays affect the ozone layer? A total solar eclipse experience.